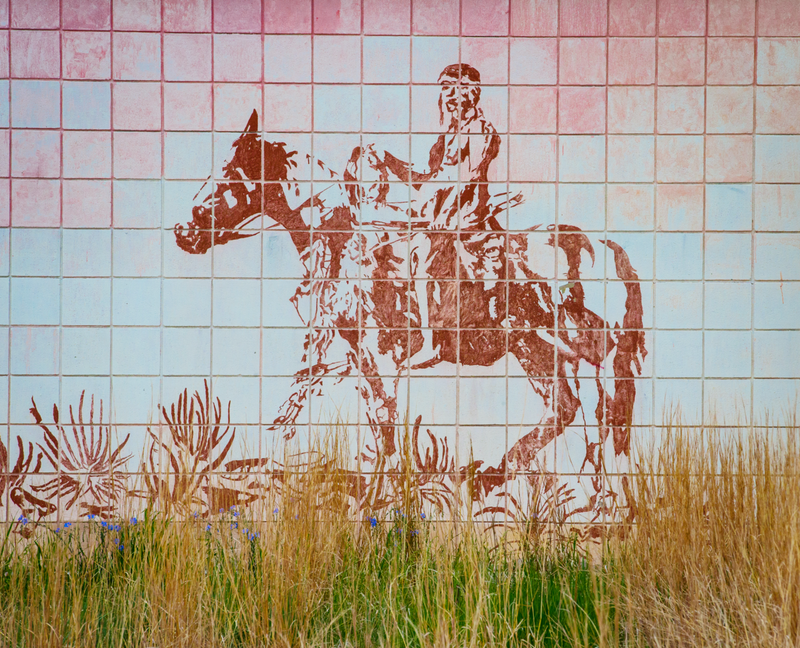 Pine Ridge is home to tribally operated Oglala Lakota College, which offers a variety of two-year and four-year degree programs. Still, too few students on the reservation go on to college. Gabe was unusual. He learned to be an electrician after high school and supported himself as he took classes first at a local college and then at South Dakota State University in Brookings. He spent more than 20 years as a jack-of-all-trades at Pine Ridge High School, coordinating special education programs and teaching math. As a single father, Gabe, 47, did all he could to nurture Justin’s talents. He taught him to do math in his head by tossing dice and giving him only seconds to add up the dots. To increase his speed, he taught him to group the numbers into 10s in his head before adding up what was left. He allowed him to participate in sports but only if it didn’t hurt his school work. He showed his son how to hunt deer with stealth and good aim, butcher a buffalo for its meat with expertise and reverence, and harvest natural food from the land, always sharing his bounty with the community. He took Justin along when he cut firewood for elders, and taught him to use and repair a chainsaw. 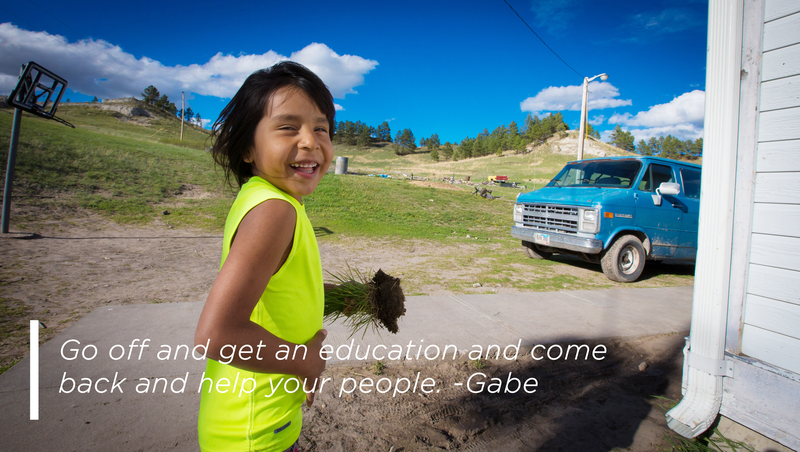 Gabe entered the hospital during Justin’s junior year because a wound didn’t heal due to Gabe’s type 2 diabetes, which is far more common in Pine Ridge than in the rest of the country. Justin had begged him to see a doctor, which would have required a long drive. But Gabe refused, too proud to seek help. When he finally agreed to go, Justin’s father could no longer walk. Eventually, the toes became infected and the foot had to be amputated. Justin was his caregiver after Gabe came home from the hospital. 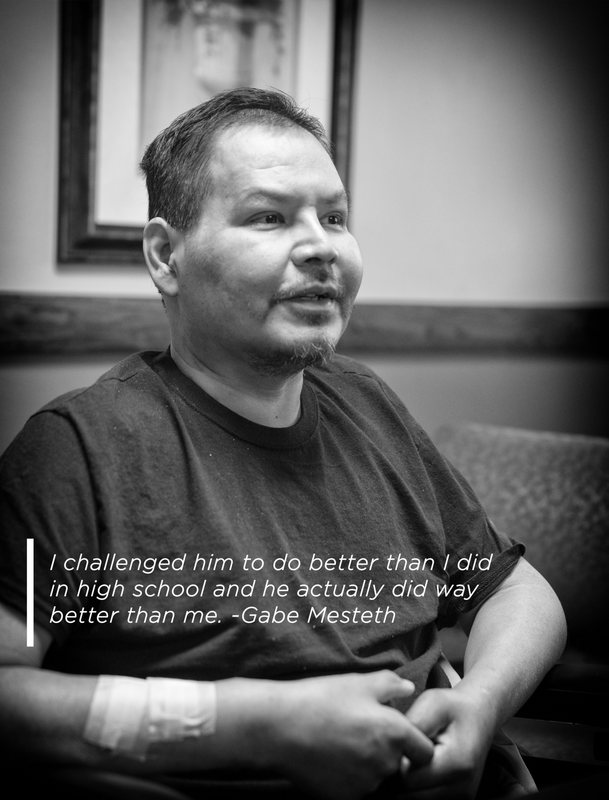 Then, Gabe suffered several small strokes, and he had to go to a nursing home in Rapid City to convalesce. Gabe’s eyes fill with tears as he talks about the deaths of Justin’s grandparents, which occurred soon after he went into the hospital. “Those people were real close to both of us,” he says. Justin’s grandparents “would have been excited that he is going to one of those colleges out there,” Gabe says. 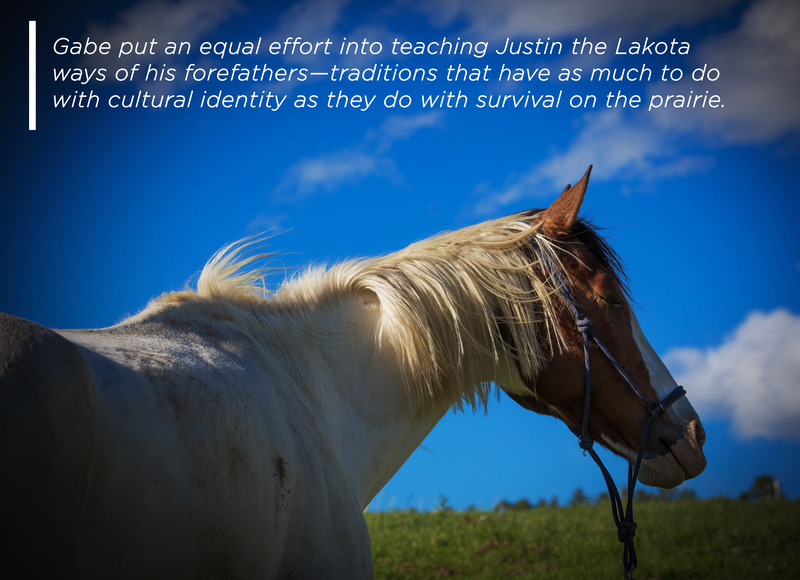 He is hopeful that Justin and his peers will return to the reservation after college to use their newfound knowledge and skills to build better roads and new housing, and provide medical and other services.